Oxford, Maine - Multi-time track champion Shawn Martin of Turner earned his first win of the season Saturday night in the 50-lap Super Late Model main event, topping the Budweiser Championship Series racing card at Oxford Plains Speedway. Martin built a healthy lead early in the non-stop race, which took a tick less than 13-1/2 minutes to complete, then coasted to victory lane by a hair over 2-1/2 seconds in front of Super Late Model freshman Ryan Robbins of Dixfield. 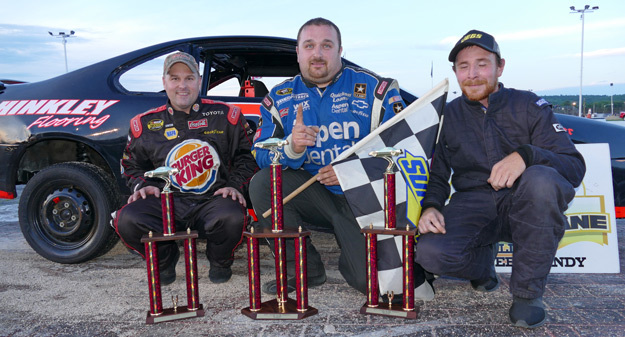 Robbins, a former Mod division champion at Oxford, claimed his first trophy in the top class after taking second position away from reigning track champion Timmy Brackett of Buckfield. Brackett held on for a third-place finish, a highlight in this disappointing season for the four-time titlist. Anson's Scott Moore raced to an impressive, fourth-place finish. Andy Saunders of Ellsworth, the winner in Monday night's Super Late Model main event, raced from 16th starting position to finish fifth in the caution-free 50-lapper. TJ Brackett of Buckfield, rookie Calvin Rose, Jr. of Turner, championship points leader Alan Tardiff of Lyman, Dennis Spencer, Jr. of Oxford and Dixfield's Scott Robbins filled out the top ten. Martin and Saunders were triumphant in the 12-lap Super Late Model heat races. Tyler King of Livermore claimed his second victory of the season in the 30-lap Allen's Coffee Flavored Brandy Street Stock main event, using the outside groove to take command late in the race, and then outrunning Bridgton's Bryce Mains to the checkered flag. Championship points leader Billy Childs, Jr. of Leeds celebrated the arrival of his newborn twins with a last-lap charge into third position. Turner's Matt Dufault led more than half of the race before Childs nipped him at the line for third. Mark Turner of Norway completed the top-five rundown. King also won the heat race. Former Bandits division champion Shaun Hinkley of Oxford cruised to victory lane following his 20-lap, wire-to-wire triumph. Hinkley's closest rival as the checkered flag waved was Oxford's Chad Wills. Reigning Bandits champion Jamie Heath of Waterford was forced to settle for a third-place finish, hugging the inside line behind runner-up Wills while nursing a flat left rear tire. Auburn's Brandon Varney finished in fourth position, followed by Adam Sanborn of West Paris. Hinkley and Sanborn won heat races. Eric Hodgkins of Minot outran all of his rivals in a Figure 8 race that was red-flagged at one point when the previous week's winner, Kyle Kilgore of South Paris, landed on top of points leader Tommy Tompkins at the intersection. Hodgkins went on to victory over David Smith of South Paris and Lisbon's Dale Lawrence. Tompkins bounced back to finish fourth after pitting for repairs. Oxford's Kyle Glover rounded out the top five. The Budweiser Championship Series continues on Saturday, July 22 at 7:00 p.m., featuring the weekly Budweiser Championship Series classes, topped by the Super Late Models, plus INEX Legends Cars. The Speedway hosts a special, 'Christmas In July program on Friday, July 14 at 6:00 p.m., with several special events on the racing card that evening. Oxford Plains Speedway is located at 877 Main Street, on State Route 26 in Oxford, Maine. For more information, please visit oxfordplains.com or call (207) 539-8865. Budweiser Championship Series stock car racing results from Oxford Plains Speedway; Oxford, Maine; Saturday, July 7, 2017 showing finishing position, car number, driver's name, driver's hometown. Super Late Model (50 laps) 1 94 Shawn Martin, Turner; 2 36 Ryan Robbins, Dixfield; 3 60 Timmy Brackett, Buckfield; 4 03 Scott Moore, Anson; 5 01 Andy Saunders, Ellsworth; 6 61 TJ Brackett, Buckfield; 7 8 Calvin Rose, Jr., Turner; 8 9 Alan Tardiff, Lyman; 9 46 Dennis Spencer, Jr., Oxford; 10 Scott Robbins, Dixfield; 11 53 Alan Wilson, Hebron; 12 71 Gary Chiasson, Peru; 13 6 Travis Dunbar, Auburn; 14 16 Travis Stearns, Auburn; 15 9 JT Thurlow, Windham; 16 4 Ben Rowe, Turner. 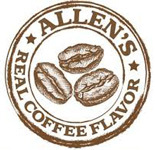 Allen's Coffee Flavored Brandy Street Stock (30 laps) 1 11 Tyler King, Livermore; 2 77 Bryce Mains, Bridgton; 3 1 Billy Childs, Jr., Leeds; 4 61 Matt Dufault, Turner; 5 09 Mark Turner, Norway; 6 58 David Whittier, West Poland; 7 36 Richard Spaulding, Lisbon; 8 35 Christina Nadeau, Buxton; 9 33 Andrew Breton, Greene; 10 27 Patrick Thorne, Standish. Bandits (20 laps) 1 2 Shaun Hinkley, Oxford; 2 52 Chad Wills, Oxford; 3 91 Jamie Heath, Waterford; 4 1 Brandon Varney, Auburn; 5 51 Adam Sanborn, West Paris; 6 5 Jacob Hall, Oxford; 7 77 Rob Crepeau, Minot; 8 26 Tyler Green, Turner; 9 3 Charlie 'Chachy' Hall, Oxford; 10 36 Scott Jordan, Auburn; 11 04 Tyler Jalbert, Auburn; 12 56 Addie McDaniel, Bridgton; 13 24 Travis Verrill, South Paris; 14 23 Eric Parlin, Mechanic Falls; 15 55 Dean Jordan, Jay; 16 33 Matt Hiscock, Turner; 17 18 Brian Hiscock, Turner; 18 53 Dustin Salley, Poland. 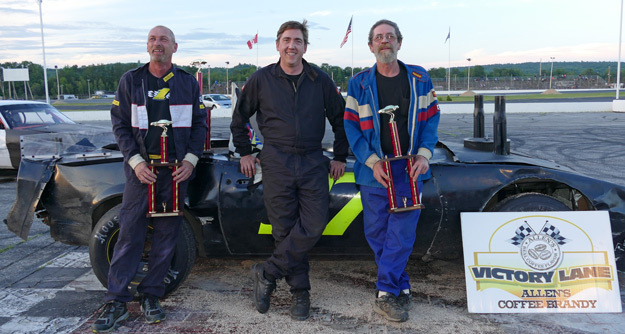 Figure 8 (15 laps) 1 97 Eric Hodgkins, Minot; 2 54 David Smith, South Paris; 3 2 Dale Lawrence, Lisbon; 4 27 Tommy Tompkins, Carthage; 5 07 Kyle Glover, Oxford; 6 40 Robert Morey, Lisbon; 7 4 Kyle Kilgore, South Paris; 8 41 Greg Durgin, South Paris.